There is a big rush for family photography sessions around the holidays, and this year it seemed that there were a lot of babies to keep this newborn photographer busy as well. But I always have fun playing with the tiny babies. And when they cry and fuss, I can send them home with their parents to keep them up all night! This little baby boy came with some great props of his own covering everything boy…western, sports, and a dash of Christmas to commemorate his Christmas Eve birthday. Corey - What a handsome baby boy! I love all the themes you included in his newborn session! Kathy - Amazing newborn portraits! His red hair is so adorable! I love the variety in his session! Anna Gleave - I love these photos! Such gorgeous newborn images. He looks so angelic and peacefull in all of these. Beautiful job, Christine! Cynthia - sweet tiny little newborn! Love his hair. Esther Edith galleries - I always look forward to seeing your next newborn photos. 🙂 These are so beautiful, Christine. I can definitely see some large, custom wall-art prints being made in the near future. Dawn - I love the red hair! Too cute! Your talent for posing newborns is amazing. They always look so natural and calm, like they had been nestled there all day! Simply gorgeous newborn pictures! Amanda - What a sweet newborn session. I love this little red head from Sonora. bailey - I am amazed at the number of props you were able to move a sleeping baby to! so much variety in this newborn photography session. Michele - Christine, these are absolutely adorable! I love these newborn photos! 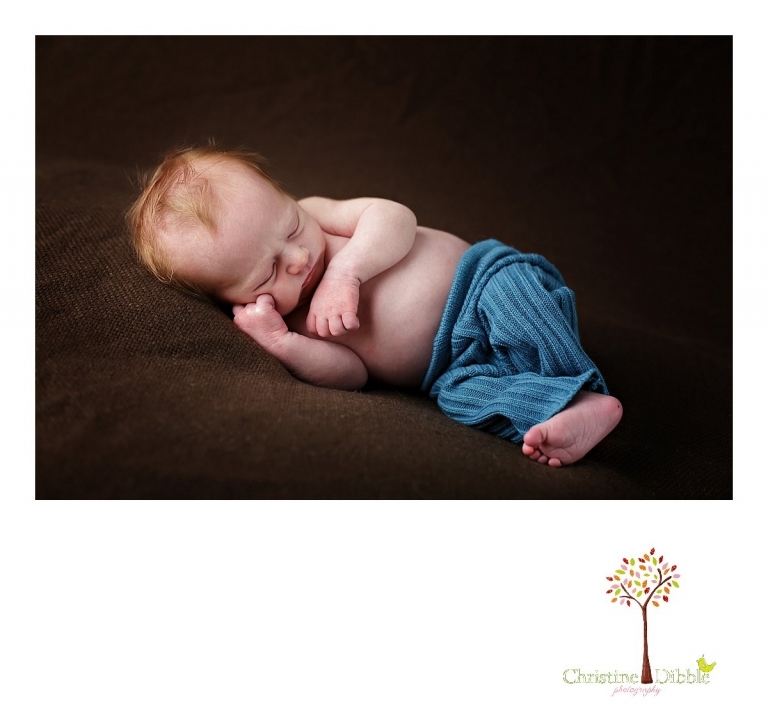 Allison Anderson - Wow does he ever have the best head of red hair for a newborn! You did such a great job with so many different setups and poses. I’m sure this Sonora family had a hard time choosing what photos from their newborn session they should order.